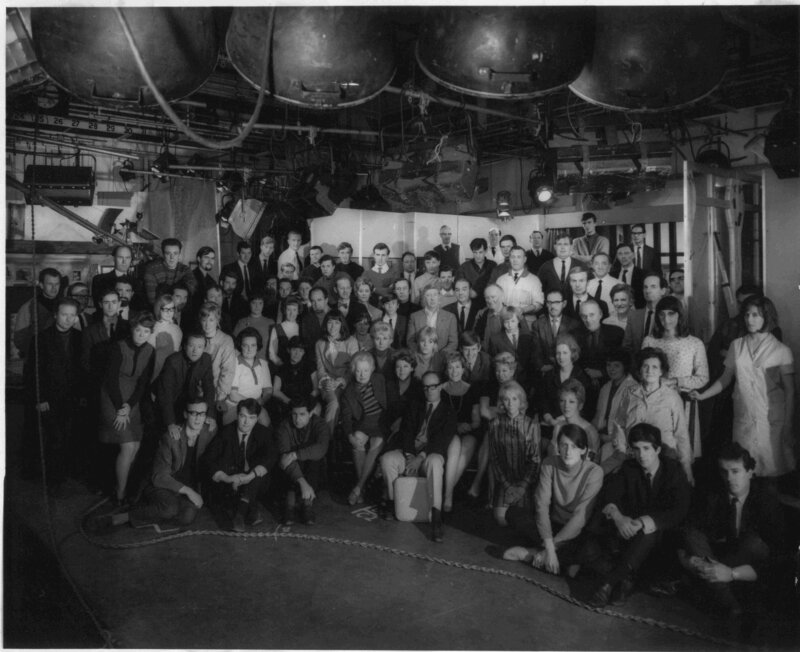 ‘The Newcomers’ is a Cast & Crew publicity shot for a soap called ‘The Newcomers’, which was shot at Gosta Green in the mid 60’s. It was a very happy production telling the story of London families relocated to a ‘Town in East Anglia’. The show gave a first break to Wendy Richard, who went on to ‘Are You Being Served’, ‘East Enders’ etc. It was directors included Ronald Wilson, Eric Hills and Paddy Russell, produced by Bill Sellars, script by Barry Letts, Kenneth Hill and Patrick Scanlan, and the story was by John Cresswell. The series also starred George Woodbridge, Megs Jenkins, Alan Browning, Naomi Chance, and Robert Brown. Apart from the people, note the archaic lighting equipment c/f today!